Third Temple | Looking for that Blessed Hope! The coming construction of the 3rd temple in Israel has taken another step closer to fruition. A 60-day international crowdfunding campaign to finance the construction of a modern Third Temple on the Temple Mount garnered $105,000 worth of donations from over 900 donors around the globe by Rosh Hashana, the Temple Institute said Sunday. A 3 minute animation of the new temple can be seen here. The infamous 9th of Av will fall on August 4-5, a week from today. Menachem Av is the 5th month on the Jewish calendar. Why is this significant? Clearly the 9th of Av historically has been a day of judgment against Israel. Will something of significance happen this year? 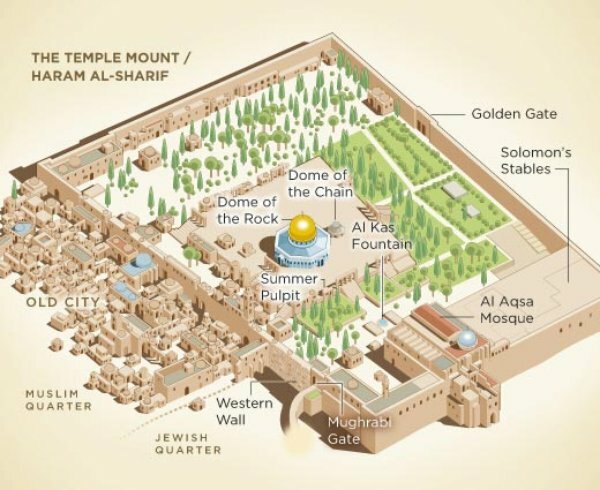 Israel does not currently have a temple but there is some new significant movement in this area with the recent statement of finding a perfect Red Heifer and now a campaign to complete architectural plans for the Temple. The Temple Institute’s campaign will run for sixty days, ending on September 25 – during the Jewish New Year, or Rosh Hashana. The campaign aims to raise $100,000 toward a building fund for the Third Temple, as part of its wider campaigns to train kohen-priests for Temple duties and rebuild the instruments in the priestly services. 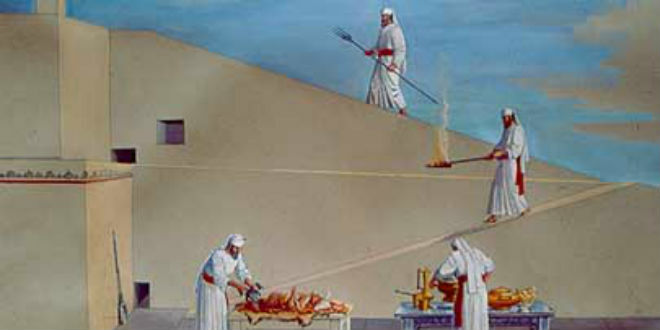 As Christians know and understand, the building of the third temple will usher in the 7 year Tribulation. 15 When ye therefore shall see the abomination of desolation, spoken of by Daniel the prophet, stand in the holy place, (whoso readeth, let him understand:)……….